Treat Yourself This Mother’s Day. Some say that being a mother is one of the hardest jobs in the world, though what most fail to mention is that it is one of the most rewarding. Whether you are a stay-at-home mom, work outside of the home or a little bit of both–there’s no denying that the work never ends! Even if you are an Aunt, Grandma, Godmother, Teacher–I can go on… it really does take a village to raise children. I know that my daughters have amazing grandparents, an Aunt who is a second Mom, an Uncle who teaches them valuable life lessons, AWESOME and understanding teachers that educate them and prepare them for the future. I am fortunate enough to be able to stay home with my girls and work full-time out of my home. With that said, it’s quite easy to take “work home” with you. But, no matter what your individual situation, we all need relaxation, recharging and dare I say–a little pampering once in a while. HP knows that moms deserve a break and they are their happiest when they’re taken care of but, most happy when they are enjoying time with their kids. I know I am! Technology plays a big role in our family, not only do we use it to make life easier, we use it to have fun. 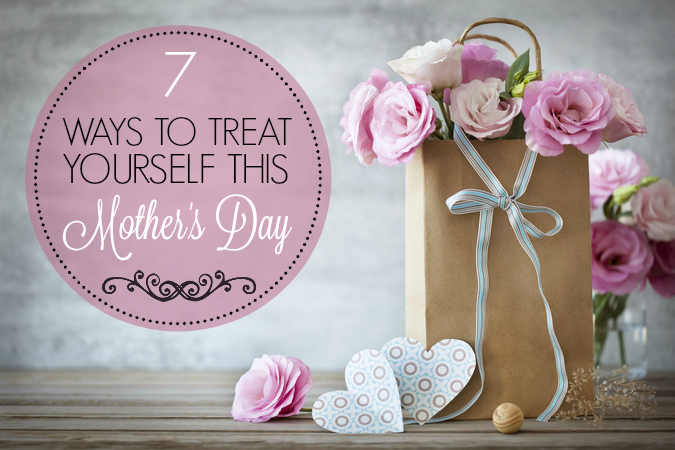 Here’s a list of ‘7 Ways to Treat Yourself This Mother’s Day’ and I hope you try them all! Whether you put in your order the night before or your family surprises you, enjoy a worry-free meal first thing in the morning for once. Sleep in and when you wake enjoy breakfast in bed. I know that it isn’t conventional but, we often have meals in our bedroom with our kids. We have a big screen and they have their little tables on the carpet and we enjoy a meal and watch TV together. Just remember, grab extra pillows and kick your feet up! 2. Have a Spa Day! This is one of the most cliché but, most incredibly indulging way to recharge. Make it a date, treat your own Mom and bring your daughters and have a day at the spa. There really isn’t anything better than facials, massages, mani/pedi’s or beautifying treatments that will have you feeling like a million bucks. In fact, I have been having a medical massage and acupuncture once a week since pulling my back out and even with the injury I have had a 200% decrease in my stress. I have decided that it has worked so well that I am going to continue it even after the doctor releases me. I found the best place where I can get both the massage and the acupuncture and to top it off they offer both medical and wellness massages. If you want more information go to the website, just click on the link at the end of my article. If a spa day is out of your budget, don’t worry! You can have a spa day at home! Your kids will love painting their own nails or making their own facials like this organic oatmeal mask. Best of all, it can all be achieved with things you already own and have in your pantry. Grab your laptop, pull up your favorite playlist and enjoy! I know many will roll their eyes at this one but, really–if I had more time to do this, I would! I actually find it relaxing and fulfilling. There’s nothing more satisfying than going through all the pictures you take of your family, the memories you made together and putting them in a book to keep forever. Ones that you or your kids can go back to and relive those moments all over again, anytime. Plus, it’s such a fun activity to do with your family. I guarantee there will be tons of laughs, a few tears and much reminiscing and happiness to fill your cup. With a printer like the HP ENVY 5540 All-in-One, you can print off print-lab quality pictures right at home. I use their various sized photo paper. Matte, glossy–you name it! You can print them off from your PC or right from your smartphone, tablet. Plus, you can scan directly to your mobile device for easy storage and sharing. Baking is not only fun but, the end result is super tasty. Am I right? Most kids absolutely love to get in the kitchen and bake something they love and to be honest, most moms love it too. Hop on your laptop and search for a recipe you’ve been wanting to try or you can browse the HP Printables section for recipes. On our to-do there’s brownies and blondies–yum! With the help of little hands, you can finally make a cook book of your favorite recipes and print them off. Best of all, with your HP ENVY 5530 e-All-in-One Printer, you can print them digitally. Either from your notebook or right from your phone. How simple is that? With HP Instant Ink, you will never run out of ink when you need it. It’s an affordable and super simple. No contracts, no stress just Original HP Ink delivered right to your door. HP Instant Ink plans start at only $3.99 a month and you can change or cancel your plan at any time. Pick a few movies your kids have been asking to watch or take a peek at their newest YouTube sensation they’ve been raving about. Binge watch with them on your laptop or notebook. Cuddle up in your favorite spot, grab some popcorn and snacks and just enjoy. To me, there’s nothing better than cuddling with my girls. Lord knows that I can’t do it enough and with life being busy, it’s hard to sit down and actually watch a whole movie together. It makes for great bonding time and you’ll finally know who Stampy, Nerdy Nummies or PopularMMO’s are. A convertible notebook PC like the HP Pavilion x360 transforms into 4 different modes for work and play–notebook, tablet, tent and stand. With some pretty nifty hinges, you can transform your PC and really enjoy your shows comfortably. You can get one at HPShopping.ca! 6. Shop Til You Drop. One of my favorite things to do is shop from the comfort of my own home and in my pajamas. I can really get into finding the best sales, deals and all the pretty things. Albeit, in traditional mom fashion, I often end up having a cart full of things for my kids. This Mother’s Day, grab a pair of noise canceling headphones, put your favorite playlist on and buy something nice for yourself. Steal away for an hour and browse your favorite online boutiques and enjoy some time to yourself. I know that we often forget about ourselves because we are too busy taking care of others. This time, do something for you. Whether it’s that handbag you’ve been eyeing for FOREVER or booking that bucket list trip. Heck, it may even be to buy a piece of tech that can keep up with you. Like the HP Pavillion x360 that I am typing this on right now. Just sayin’. I am a firm believer that you can’t take care of someone else if you haven’t taken care of yourself first. Do something that makes you happy. Spending time with family is one of the many reasons we love being parents but, it isn’t our complete identity. Have a long soak in the bath, go for a walk or drive alone, read a book quietly, go to the gym or binge watch a season of Downton Abbey. Whatever it is, do something for YOU and pat yourself on the back for wading through this tumultuous thing we call life and for raising little humans. Oh, and don’t be hard on yourself–let go of the guilt. There’s plenty of time to spend with family on this day but, there’s also a little time to take care of you. In honor of all the moms and caregivers in the world, one lucky Whispered Inspirations reader will WIN a pretty epic HP Prize Pack. To qualify for this prize pack, you need to tag the #HPTreatsMoms hashtag, tweet @HPCanada and share how yoga, the HP ENVY 4520 All-in-One printer and HP Instant Ink gift card will give you the best of both worlds. There are also extra ways to earn entries, of course. You will have to change the wording to your own. I’ve shared my own tweet below for inspiration! Just click on the tweet below and re-word it, don’t forget to click in the GT widget saying you completed it! Even if being a parent is the toughest job in the world, in the end, it is fulfilling. The moments you spend with your loved ones makes the hard days worth it. Hope you all have a great day and get the chance to relax! Make sure to visit HP on Twitter, IG and Facebook for the latest updates! 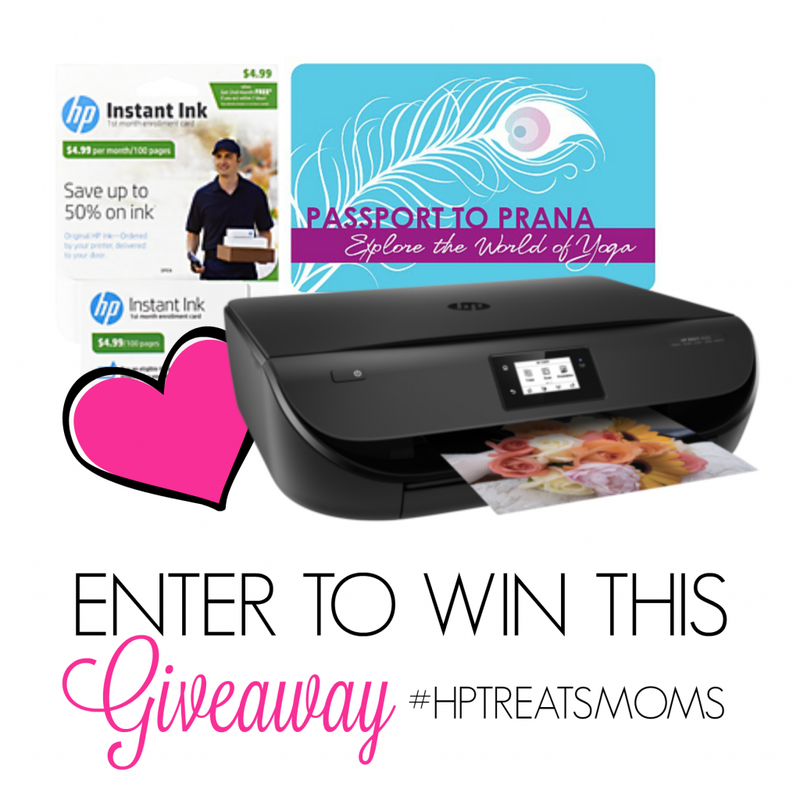 How would you use the #HPTreatsMoms Prize Pack? Would love to win this prize because my printer died and I haven't had the money yet to replace it. this would be an awesome prize to win as my printer as bitten the dust! I'd love to win because it would make a perfect treat for me. I don't have a working printer, so this would be great! Thanks for the chance. I'd love to win because I need a new printer and have so many things I'd love to make like greeting cards, recipe cards, etc. I would love to win so I could share my photos with friends and famiyl! I think this is a great mom prize, I would love to be able to print out all my recipes and I want to laminate them and make a book (With pics of the stuff I actually successfully cooked, cus, yeah, I'm not a great chef lol) Count me in please. I would love to have the printer to be able to print picture in an instant. I would love to win so I have a way to print photos of the family! Thanks for the opportunity. I would love to win because I don't have a printer at home and would love to be able to print photos. I would love to win because I really need a new printer. I would like to win as our printer is acting up and i would love to take yoga! I'd love to win this because I really need a good printer, and money for yoga is always awesome! I would love to win this to replace the current HP Photosmart 7760 model I currently have. My printer still works but it is quite an older model, it's not wireless, has no scanner, etc so our printing station needs an modern upgrade. My son doesn't have a printer, and this would be great to give to him. I would like to win because it works with Instant Ink. I would LOVE to win the HP ENVY 4520 All-in-One Printer, it sounds amazing! I love the idea of an all in one printer. The printer I have does not do a good job on pictures and I would love to have that function. My printer only works when it wants to, I need a new one. OMG…funny story…sort of, I'm going outta my mind. My printer is evil. Literally. I'm not saying this because I REALLY wanna win one (because I do) but my printer is commiting paper crime. Instead of releasing paper, it's EATING it. It's so rude! I would love to win this prize because I haven't had an updated/modern printer in years. This would be great!! Don’t have a working printer at the moment. I'd like to win this prize back so I can print all the digital pics I have of my boys at home. Thanks for the chance to win. I would love to win because my printer just died on me and I need a new one desperately. I'd love to win this prize pack because I would be able to print a lot of fun and educational printables for the kids to keep them busy. I would love to win this prize pack so that I can catch up on much needed printing that I need to do for my scrapbooking. I would love to win this so I can print all the pictures from me and mom's adventures! I would love the HP Envy printer as I have the Envy laptop! I would love to win this prize pack for my wife because she is more than deserving for some pampering and she loves crafting so the printer will come in very handy. Would love to win so that I print good quality pictures because my current printer is going on me and won't last much longer. I would love to win to be able to print and share my favorite photos! I .would love to replace our outdated printer with this newer set-up ! Would love to win so I could print off some knitting patterns that I want, my current printer is not working. Would love to win because we need a new printer. I would love to win this prize pack so that I can do lots of craft projects with my kids. We could definitely use the update in our printing equipment. Would love to win because we are without a printer right now. I would love to win to replace my non-working printer and to relax with some much needed yoga. I would love some yoga to relax and then be able to have an organized home office (for a change). Id love to win as I could use a great new printer and one that prints photos! I would love to be able to print off coupons for extra saving but also love to enjoy the day with yoga! We need new printing equipment! This would be great to restock my office with my new class starting. I need a new printer so would love to win this! Our current one is not working. I want to win this Printer because i do not own one. Would love to win to replace our non-functioning one. I would so love to win this because my printer is on the fritz and an upgrade is in order! Really need to upgrade my printer. Tooth Fairy needs to print out tooth loss certificates and lots of other fun #dental cards and stuff! Id love to win as I love to take photos – this would encourage me to print them to share! Would love to win so I can print off some pictures that I have been wanting to frame. I would really like to have a printer that produces great results for pictures. I would love to win and replace my printer..it needs to go! A new printer would be wonderful. I would love to win as it would be awesome to share my favorite photos that I printed myself! I would love to print off some pictures and do them up in frames for the wall but my current printer is not working. I would love to win as I take a ton of photos but never print them; this would really encourage me to change that! Would love to win so we could have a working printer again! We could definitely use a printer upgrade. My printer is on life support. Would love to win so we could have a working printer in the house again. I would love to win this for my mother, her current printer is an old dinosaur! My hobby is photography but I rarely print pics so this would be great. Need a new printer so I can scan things. I would love to have my own printer! HP makes such wonderful products! Would love to win so I could print out some old family pictures to frame.